Ashampoo Blog - Is internet addiction real? The intro alone saw the first hands reaching for their cellphones. WhatsApp messages arrived, friends and families reported on their evening events and a bunch of spontaneous invitations and tips were passed around. A babysitter gave the all-clear and, while they were at it, it was obviously time to check out the weather forecast. Not only did director Dario Argento's intro create suspense and awaken expectations, it also prompted the viewers to google all the other movies he directed. Afterwards, Facebook popped up with Sunday appointments and fitness apps reminded users they still had do walk 2,000 steps to reach the "golden 10,000". Enter Udo Kier, a well-established German bad guy with a knack for demonic facial expressions. Hadn't they seen him before? Google to the rescue. Good lord had this actor been in a lot of movies! The soundtrack met with general approval but also seemed strangely familiar, time for another Google search. Next, a qualified comment out of left field expressed concern that the movie had been cut. A quick research revealed it to be the "Limited Collector's Edition Uncut", accompanied by a sigh of relief from the knowledgeable audience. As the movie picked up speed, there were less distractions and incentives for them to reach for their cellphones. It didn't really matter anymore who was playing the leading role or where the movie had been shot. The movie's magic seemed to still work, even though they were conditioned to expect a steady and more varied stream of information and entertainment. Though still a success, the evening got me thinking. Are we (or many of us) addicted to the internet? Shortly after the end credits rolled, many of my friends, semi-consciously, reached for their smartphones. A quick survey revealed most of them also use their devices as alarm clocks and to check the weather first thing in the morning, before they even set foot outside their beds. Breakfasts are supervised by YouTube, wake up tips, nutrition advice or performance enhancement strategies and plus 10-minute instant meditations. Goals from yesterdays game, the latest news and trends on Facebook, Twitter or Instagram - in 2019, the day starts with information overload. And it doesn't stop once users arrive at their workplaces. 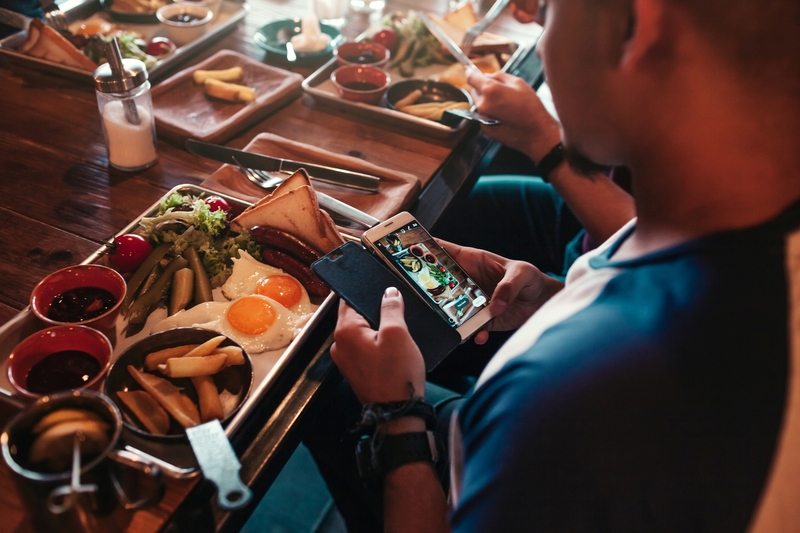 Cellphones dish out shipment notifications for online orders and provide instant access to details, like visiting hours of the family physician, what's on at the movies and the latest snapshots aunt Hilda sent from her recent Yellowstone trip. Many apps mean many push notifications: cheap gas, great grocery store deals, fitness tips or mundane reminders to take a drink of water. There's an ongoing informational buzz vying for our attention. Many workdays no longer end once workers leave the office but continue through online messaging - a nightmare for nine to five jobbers. And at home, social media, YouTube and, naturally, the big streaming services are waiting to eat away at your leisure time - even more so should you dare to install their free apps, which you probably will because you might miss something otherwise! The feeling of missing out, whether its plain information or entertainment, puts people under pressure these days. On average, Germans look 90 times at their cellphones every day, that's roughly one look every 10 minutes on a 16-hour day. Manufacturers are working hard to improve battery life to allow for days of uninterrupted cellphone use - due to consumer demand. Being online used to be the exception, then became a growing trend with 24/7 online availability and has now become the norm, taking a huge chunk out of peoples' social lives. This phenomenon affects everyone, irrespective of age, social class or level of education. Nowadays, every internet outage leads to an outpouring of rage and despair, preferably on social media sites. It's as if individual happiness and personal self-fulfillment hinge on internet connectivity, with a motley bunch of outraged netizens, a cross-section of society, demanding revenge and compensation for a loss subjectively perceived as excruciatingly bitter. Still, there are some who buck this trend, giving rise to the creation of cafés that ban the use of cellphones. These internet abstainers not only restrict WLAN hours for their children but also for themselves. Apps that enforce internet-free hours and check emails just once a day are already available to support this movement. Others have board game or literary evenings during which cellphones are shut down. Gradually, people are beginning to understand that not every email or whatsapp message deserves an instant reply and that current news reports don't vanish into thin air after 30 minutes. Time and leisure, two central themes in this movement, have also led to the resurgence of reading corners, some of you may remember them from your grandparents. 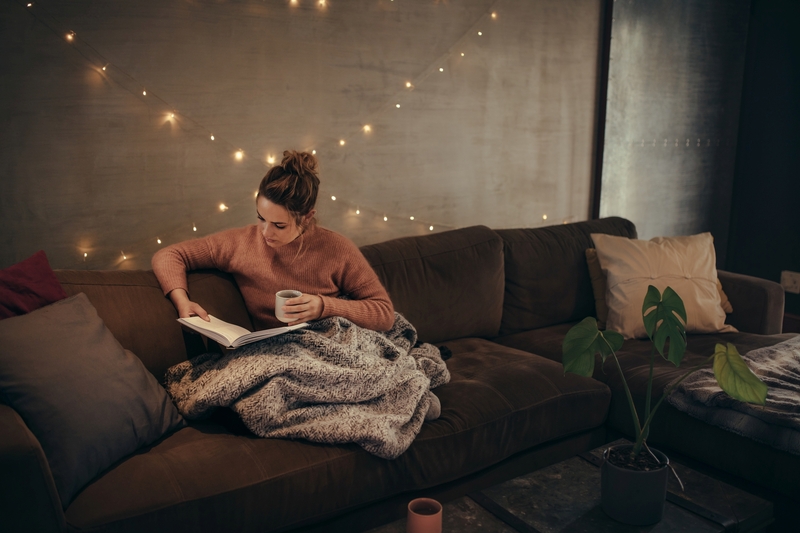 Spending undisturbed quality time with a good book (or e-reader, if you must) is en vogue again and a welcome method of relaxation. My next movie night will be mostly cellphone-free (11 votes for, 1 vote against). Babysitter calls are okay but all other activities, whether communication, information or entertainment-related, will have to wait. Let's wait and see how that'll turn out! What I would like to know: How much do you need the internet? I'll go first: a lot but I'm trying to cut down on internet use. How about you?